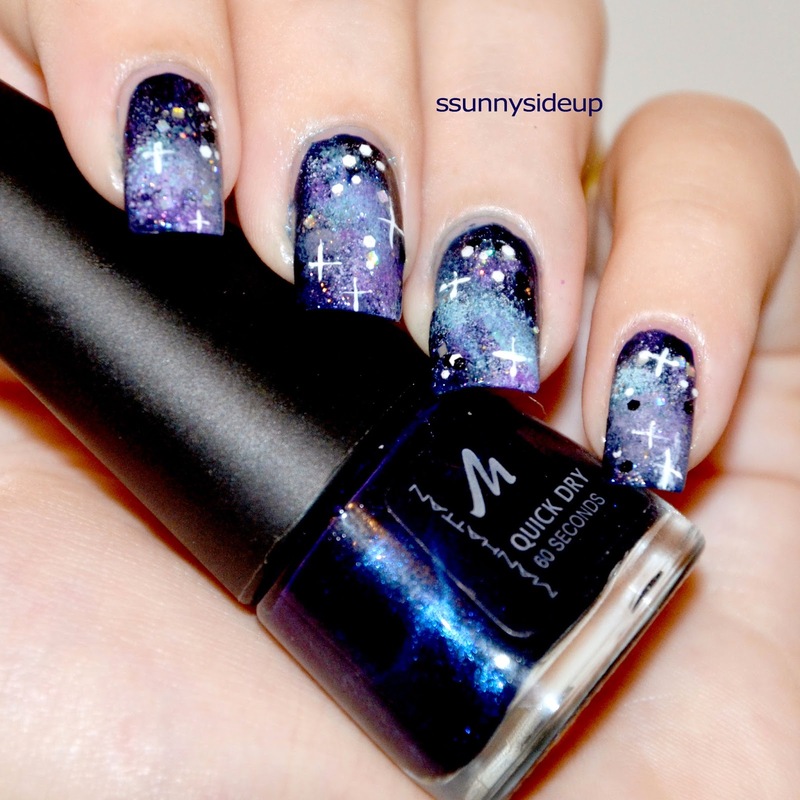 I hardly did galaxy nails until now because I always tought it doesn't fit my nails but today I love this design. I couldn't get enough of looking at it. essence nail art twins "02 Julia"
Start with your basecoat and a dark color. I went for a dark blue almost black from Manhatten. Then I started to sponge white on that blue. It's just to give the other colors a base otherwise you wouldn't see them so much on the dark blue. Then I took one color at the time to sponge them on the white base. 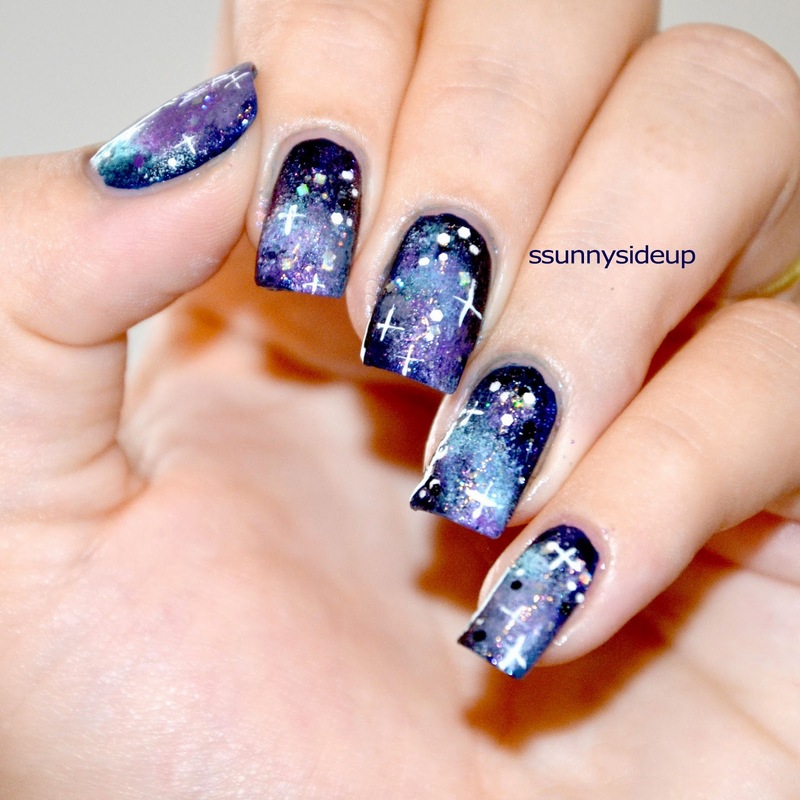 When doing galaxy nails always sponge a couple of time ig on a paper before sponging on the nail. 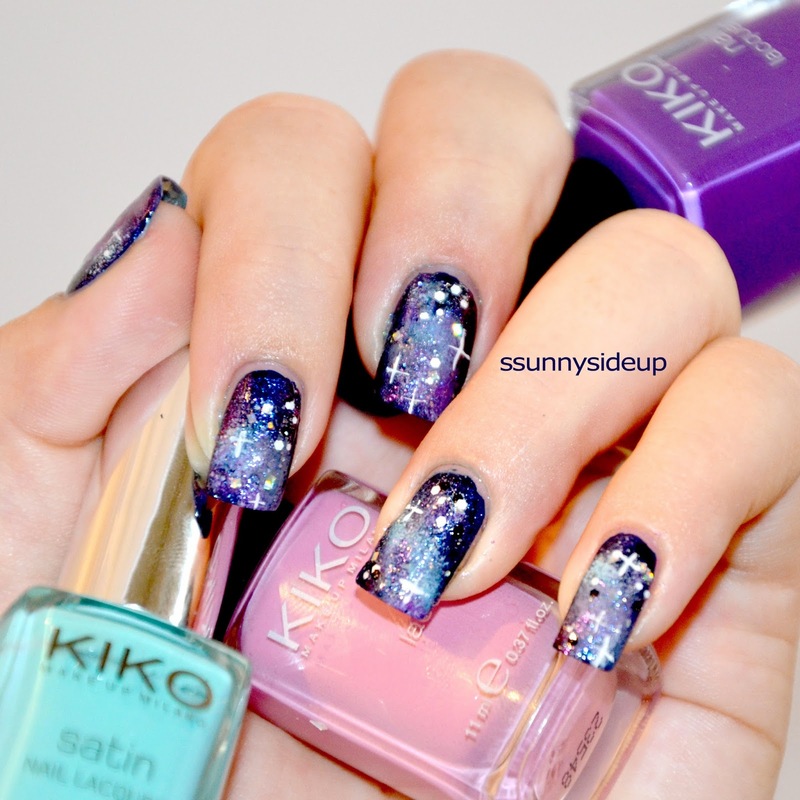 It gives the nails a better galaxy look. I sponged until I was happy with the different color combinations. Before adding the stars I applyed a layer of glitter topper to add a bit of sparkle. Then I took a dotting tool and added little glitter particles - one by one. With a nail art striper I pimped my galaxy nails with little crosses. Apply topcoat.